Looks like folks enjoyed the patch design so we made it a shirt. 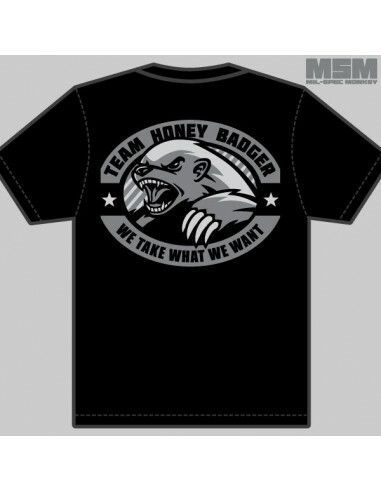 Honey Badgers, the toughest critters around shrug off bee swarms, snake bites, and other forms of certain death for lessor animals to concentrate more on taking whatever they damn well please. 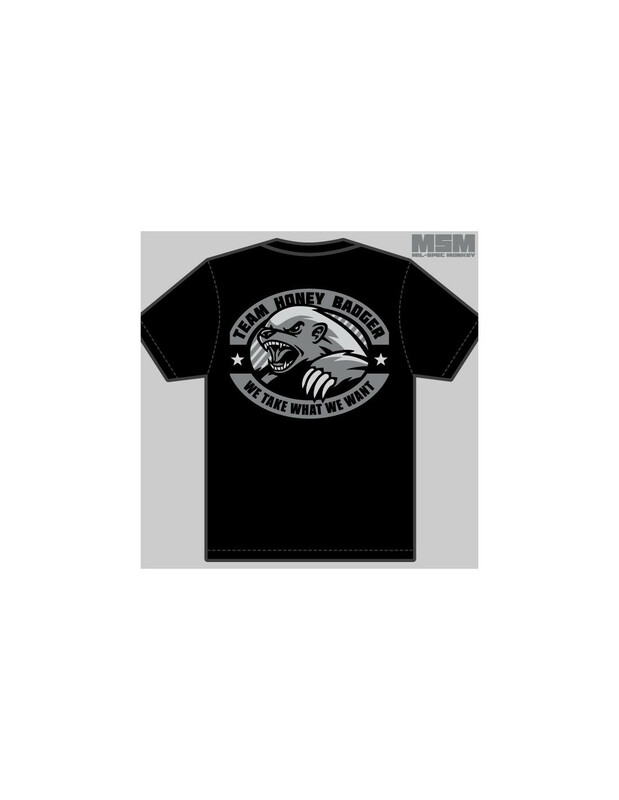 Shirt wise we mixed it up a little where the black shirt has a small logo on the front and big design on the back while the arid version has a big design on the front and a small design on the sleeve.